l KH (temporary hardness) indicates the content (measured in degrees) of calcium and magnesium carbonates, useful in stabilizing the pH. 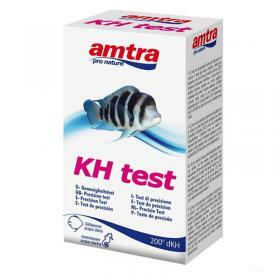 A good value of KH allows to maintain a constant pH level. Often the value of KH tends to lower; to correct it, you can use Amtra KH active.